The administrative team and a social worker at Pattonville High School will be honored by the Special School District of St. Louis County (SSD) for their work with students and families during SSD's annual Salutes Banquet on March 7. The Pattonville High School administrative team is being recognized with a 2019 Special Ambassador Award, the highest recognition given by SSD. The award is presented to community members who demonstrate an extraordinary commitment to the students and staff of SSD. The administrative team includes associate principal Bob Thompson; assistant principals Dr. Dana Burns, Dr. Jon Fitzgerald, Gene Grimshaw and Odetta Smith; and activities coordinator Bob Hebrank. The head principal is Dr. Joe Dobrinic, who received SSD's Special Ambassador Award in 2016. Michelle Miletic, an SSD Social Worker at Pattonville High School, is being recognized with a 2019 Lasting Impression Award, which recognizes SSD staff members who make extraordinary efforts to make a difference in the lives of students, both within and outside of the classroom. In a nomination for the administrative team, SSD area coordinator Jessica Winterowd wrote, "At Pattonville High School, I've been lucky enough to be a part of a team that not only supports students with special education services but a team that works to support all students every day. The leadership team at PHS ... is always looking for ways to get students involved, especially those that have special education services. The assistant principals at PHS work hard every day to reach out to our students that have the most significant needs in the building. PHS is a model of inclusion for St. Louis County. All students, regardless of their disability, are included in the classroom, extracurricular activities and sports." 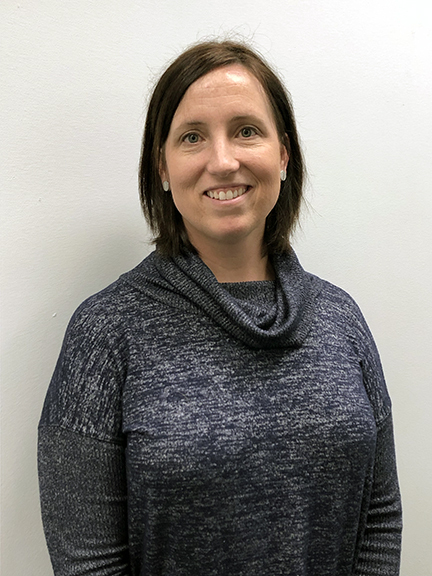 In a nomination for Miletic, SSD speech-language pathologist Victoria Carlson-Casaregola wrote, "In her service to students, families and colleagues, Michelle is often the 'go to' person when situations include crisis, trauma or social and emotional problems .... Throughout these encounters that stretch her day into a series of unpredictable challenges, she brings to each act of service a unique combination of professional and clinical expertise, personal warmth, grace, empathy, adaptability, humor and, above all, compassion. She empowers many other people to find new ways to help others and to help themselves. Michelle knows how to listen actively and to respond appropriately with extraordinary competency and resourcefulness." The Pattonville High School administrative team includes, from left, Bob Thompson, Dr. Jon Fitzgerald, Dr. Dana Burns, Odetta Smith, Bob Hebrank and Gene Grimshaw. SSD social worker Michelle Miletic will receive a Lasting Impression Award.